This seminar presents and analyzes basic movement components necessary for smooth functional performance. 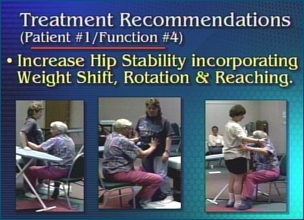 A number of daily activities are analyzed and patients assessed as to their treatment needs to accomplish these tasks. This seminar focuses on functional activities and handling skills that can be utilized to facilitate improvement in functional performance. 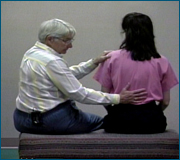 This seminar is designed for therapists who have previously completed a Level I introductory NDT seminar on adult hemiplegia. Handouts included in PDF file format. 1. List the major areas of function. 2. List the basic components of movement. 3. 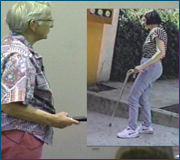 Identify the hallmarks of normal movement. 4. List considerations for functional analysis. 5. Describe the principles of facilitation. 6. Analyze a functional task and identify treatment goals. Level II Introductory/Level I required (Sem 2A or equivalent).